As a mom of two young kids, I must admit that whenever I hear a new animated or otherwise family-friendly movie is about to be released, I experience a brief moment of dread. Because with each kids’ movie that my son and daughter are interested in comes the possibility that I will have to suffer through bad acting, cheesy dialogue and corny jokes for 90 minutes or more. That’s why I’m always extra excited and impressed when a film comes out that’s technically geared toward kids … but that I end up truly enjoying as well. Here are 8 that everyone in your household is sure to love. Teen Titans Go! 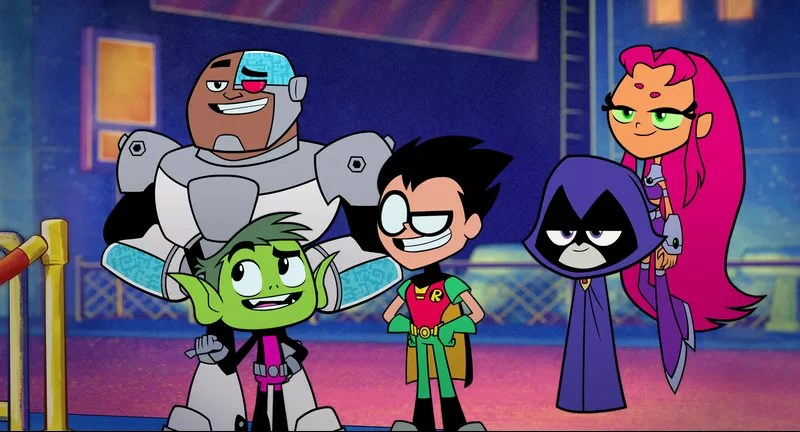 To The Movies – If you’ve ever watched Teen Titans Go! on Cartoon Network, you already know about the fast-paced pop-culture-tinged brilliance that is this series, which imagines lesser-known superheroes like Robin as typical teenagers. My six-year-old son got REALLY into it, and then my three-year-old daughter became a fan as well, and so we ended up going as the Teen Titans characters for Halloween last year. Since the show has such a special place in my heart, I was seriously scared that the movie version would ruin it. But it actually exceeded my wildest expectations and is one of my favorite films of the year so far. I’ve seen it multiple times and HIGHLY recommend it, especially if you’re a superhero-movie fan in general. There are so many hilarious inside jokes, on top of a great soundtrack (which plays in our house at least weekly) and one of the most brutally funny time-travel sequences in existence. Check out a 10 minute extended preview at the end of this piece to see what I mean! The Lego Movie and The Lego Batman Movie – As a film critic, I obviously see a lot of movies, and so the experience of watching any specific one can often fade as the years pass. But that’s not the case with The Lego Movie. When its end credits started rolling, I still clearly remember all of the critics in the theater looking at each other like, “Um… did that just happen? Was that just GREAT or are we crazy?” Needless to say, we weren’t the only ones who loved it, and it went on to make a bazillion dollars. It also spawned a worthy sequel with The Lego Batman Movie. And good news: we only have a few more months to wait for The Lego Movie 2: The Second Part. It hits theaters in February! School of Rock – Kids will dig seeing others their age empowered and a little rebellious (in a good way) as talented contestants in a battle of the bands, and adults will dig watching Jack Black do his thing as the faux-substitute-teacher Dewey Finn, who just wants to earn a little cash … and rock out while he’s doing it. Home Alone – Isn’t it time for a rewatch? This holiday classic finds a kid (Macaulay Culkin) easily outsmarting grown-ups after he’s accidentally left home by himself during his family’s Christmas vacation. If you haven’t watched this beloved 1990 comedy with your family yet, what are you waiting for? The Karate Kid (1984) and The Karate Kid (2010) – I’m a remake skeptic — especially when Hollywood tries to mess with my childhood favorites — but I have to say that BOTH versions of this timeless story hold up well, bring something different to the table, teach valuable lessons and are definitely worth watching. The Princess Bride – If you have older kids, this is a movie night MUST-watch. It’s my favorite film of all time, and it begins with an older man (Peter Falk) cracking open a large novel to read to his grandson (Fred Savage) who’s sick in bed. When the boy seems less than thrilled about the prospect of listening to the story and asks if there are any sports in it, his Grandpa replies: “Are you kidding? Fencing, fighting, torture, revenge, giants, monsters, chases, escapes, true love, miracles…” before the boy cuts him off with a promise that he’ll “try to stay awake.” Then the story of Westley and Buttercup unfolds and, well, let’s just say that you’ll probably want to hear it again, just like the grandson. What other kids’ movies pass your test?